This week a good bill that prohibits “medical marijuana” users from smoking marijuana failed to clear the Arkansas Senate. The Arkansas Medical Marijuana Amendment currently lets practically anyone qualify to smoke marijuana. Even children are allowed to smoke it. Smoking is a recreational activity that is almost universally recognized as unhealthy. That’s why S.B. 357 by Sen. Jason Rapert (R-Conway) and Rep. Robin Lundstrum (R-Elm Springs) prohibits marijuana smoking; other forms of medical marijuana use—such as marijuana oils, tinctures, and vaporizers—would remain legal, but not smoking. This week S.B. 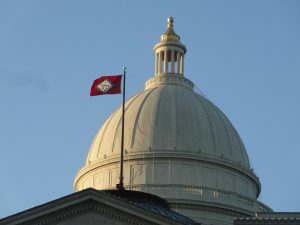 357 failed to pass the Arkansas Senate. The bill needed twenty-four votes to pass; it received only ten. Sen. Cecile Bledsoe (R-Rogers) was not able to vote due to an excused absence from the Arkansas Senate. However, she has assured us she supports S.B. 357.